This lightweight l/slv is the perfect piece to stash in your gym bag for post practise warmth. 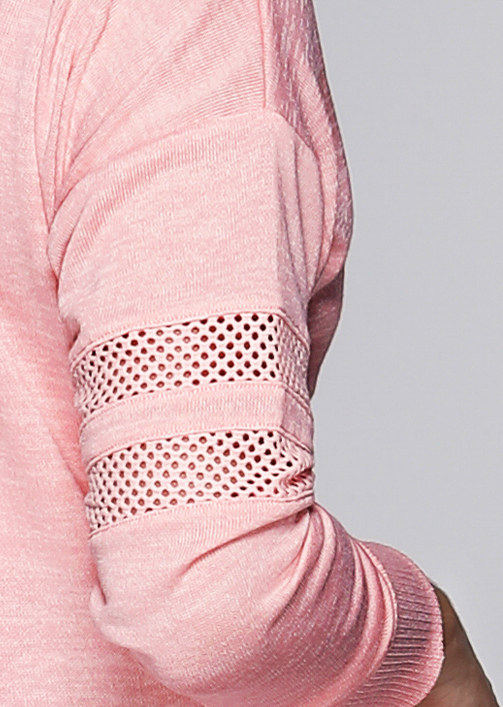 Featuring sporty mesh panelling and a flattering V-neck you’ll find any excuse to wear this pretty pink top. Post Pilates, throw this top on with your Move Freely Core 7/8 Tights and matching sports bra. Don’t leave this one behind when on your weekend getaway, team it with your Amy F/L Tights and Maya Sports Bra. When the weather is cool, wear this top with your Step Up Core 7/8 Tights for a morning walk.